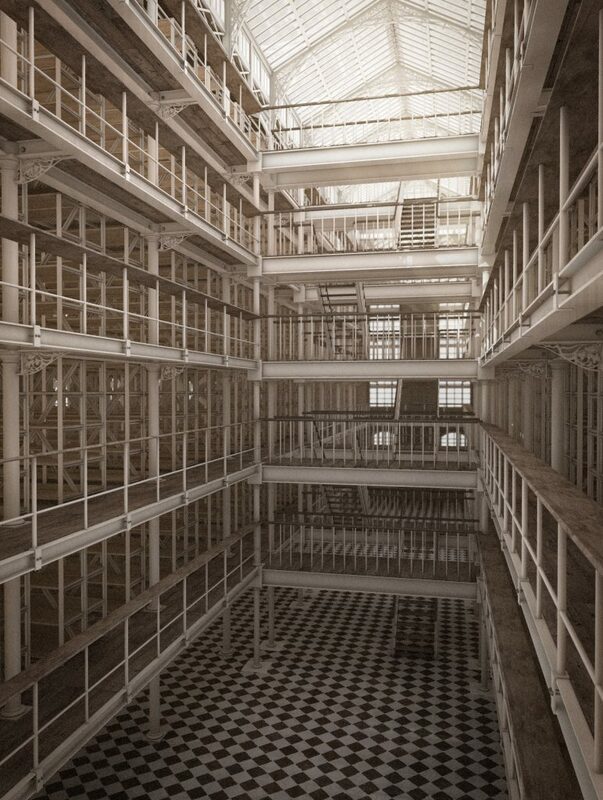 In December of 2016 we were asked by Trinity College Dublin and Adapt to digitally reconstruct an iconic Irish building that is long gone – The Public Record Office of Ireland at the Four Courts, for the Beyond 2022 project. Although it was destroyed by a massive fire in 1922, just enough information about it survived in order for us to attempt this challenge. With a few old plans, elevations, cross-sections and the help of the only two remaining photographs that depict any detail, we re-constructed this landmark-building from the ground up. 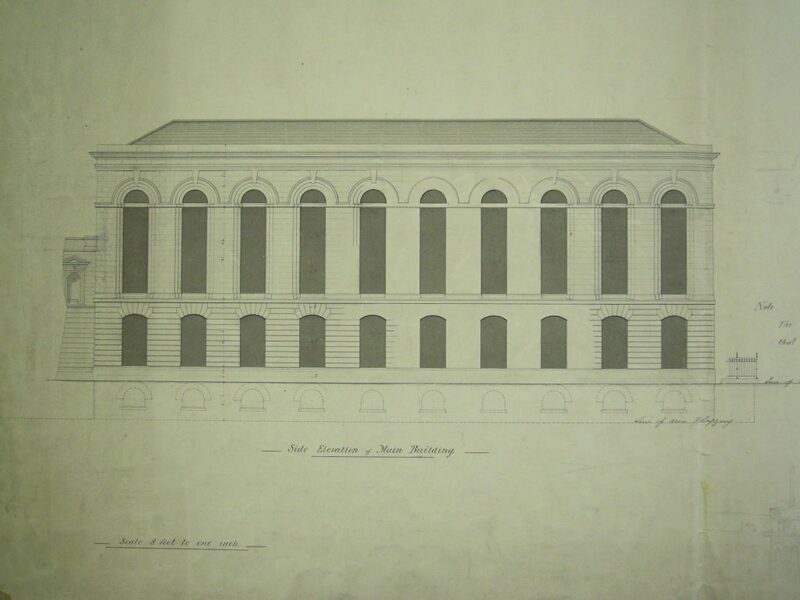 The Record Treasury was a six storey brick building with a complex internal cast iron structure that intertwined flooring, shelving, staircases and the roof support structure. Detailed ornaments were used throughout the building, yet many details that are seen in the plans were left out as can be seen in the photographic evidence. Before commencing the modelling process of the reconstruction, we carefully realigned and scaled all the plans to be in the correct relation to each other. Though this proved difficult, especially as there were slight discrepancies between the various detail and overview plans. 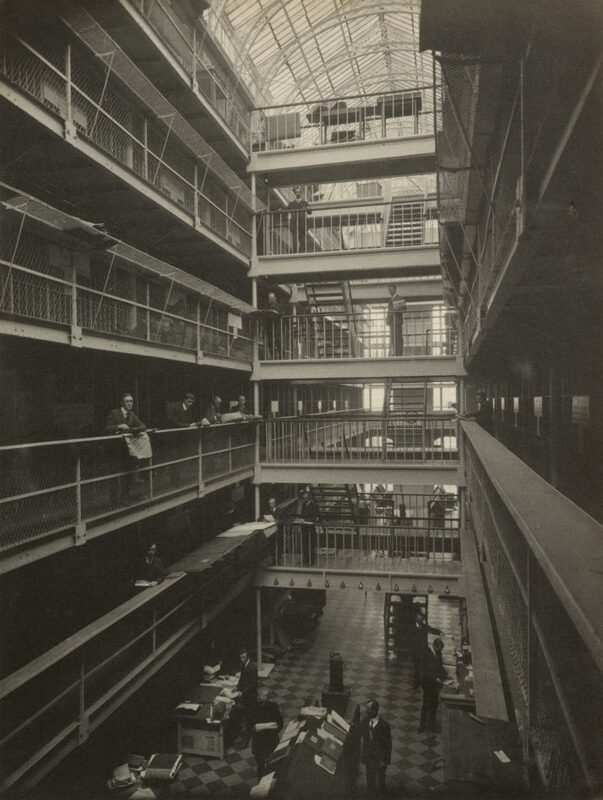 There are still certain sections of the building we don’t fully understand since no information about their construction exists anymore. 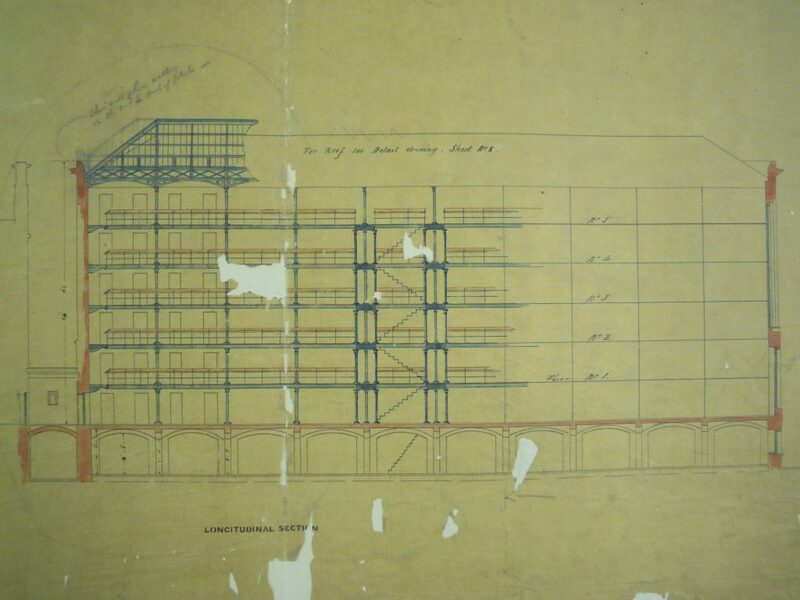 So some parts might feel less refined than others, but that is only because we decided to only build what was either supported by evidence in form of plans or photos or could be logically deduced with near certainty. We put in as much detail as possible within our timeframe while still maintaining an accessible and easy to use model to generate our animation sequences and also for further use. In order to experience the full sense of scale of this extensive building we also created a Realtime-VR version with a few less details visible. Now you can be teleported back in time and roam through the vast space filled with shelves of records and marvel at the stunning view of the central glass ceiling. Thanks to the big effort of our VR department we turned this project around in a record time. 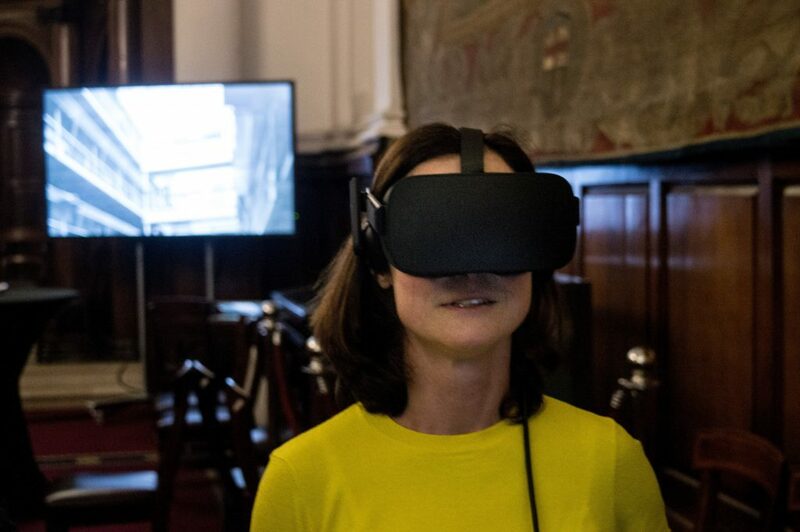 And at the opening event for this project, which was hosted by the British Ambassador in the magnificent House of Lords chamber in the Bank of Ireland building, it turned out to be a great hit and a mind opening experience for some of the guests. It was an extraordinary opportunity for us to work on this project. It was a bit hectic at times and lot of effort went into making it. But it certainly feels great to shed further light on a part of Irish history and bring a lost building back to life – even if only in the virtual world. We would like to thank everyone involved in this project – in particular Peter Crooks and Ciarán Wallace from TCD and Séamus Lawless and Mark Farrell from ADAPT. We hope that, in the not too distant future, we’ll get an opportunity to return to it and further refine and advance the experience.